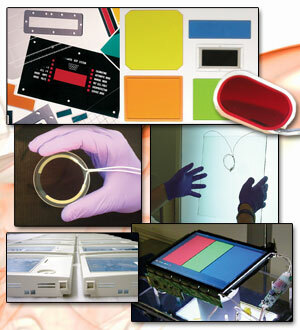 Dontech, Inc. designs and manufactures optical filters, coatings and components to enhance the optical and environmental performance of electronic displays. Our products include: antiglare and antireflective coatings, films and filters; conductive, heat reflective and vacuum deposited coatings; EMI shielding; polarizers; contrast enhancement, dichroic, static dissipating and band pass filters; night vision compatibility filters; transparent heaters; fine wire meshes; and a wide variety of custom optical enhancements. Since 1971, Dontech has engineered and manufactured proven optical filter designs for both typical and unique optical filter applications. Dontech is ISO 9001:2015 certified with engineering and manufacturing facilities in Doylestown, PA.